The Resurrection | J.W. Wartick -"Always Have a Reason"
There is an objection to one of the evidences for the resurrection which is, frankly, terribly confused. I most recently ran into it on the discussion page for the radio show Unbelievable? Essentially, the objection goes like this: Christians say the fact that the disciples died for what they believe is evidence for its truth, but all kinds of religious people die for what they believe; are they all true? The objector then often proceeds to note that some Muslims will die in suicide bombings due to their beliefs; they will note events like Thich Quang Duc burning himself to protest persecution; they will note other events in which religious people die for their beliefs. The implication, it is alleged, is that this cannot count for evidence for the truth of what they belief. People die for false things all the time; it doesn’t make what they believe true. The objection seems compelling at first because it is, in fact, largely correct. The simple fact that people are willing to die for something does not make whatever they are wiling to die for true. However, this objection shows that the objector is badly misrepresenting the Christian apologetic argument. The apologetic argument is intended to be used against those who would allege that the disciples made up or plotted for the notion of the resurrection for some reason. It therefore presents a major disanalogy with people of other faiths (or even later Christians) dying for what they believe. The major difference is that the Christian is claiming the disciples who went willingly to their deaths would have known what they were dying for is false, if it were. Suppose you and a group of friends decided to make up a story to get some money. You decided that you were going to pretend that a buddy had died and risen again. You managed to set up circumstances in which your buddy appeared to die; then smuggled him off to Argentina–because that’s where everyone likes to hide, apparently. Later, you ran about the streets proclaiming that you’d seen your buddy walking around. He had been risen from the dead. And, you’d tell the story for the right price. To your delight, the story spreads like wildfire. But eventually it attracts attention of the wrong kind, and people are coming to kill you. Now, suppose that you could easily get out of it alive by simply confessing you’d made up the whole story. What would you do? Alleged explanations for the evidence for the resurrection which appeal to purported conspiracies are much like this. The disciples would have known they were lying. Thus, the fact that they willingly went to their deaths does indeed count as evidence for the truth of what they were claiming. Otherwise, one would have to claim that these people quite seriously and willingly went to their deaths for something they knew was a lie they themselves had invented. Thus, it is not enough for the objector to simply point out that other people die for faith not infrequently. That is not the core of the apologetic argument. Instead, they must argue for the implausible notion that the disciples willingly died for what they knew was a lie. It was not something they simply thought might be a lie; it would have been something that they were certain was false. I do not think it is too far afield to suggest that the objection fails. It seems far more likely that they certainly believed what they professed were true, and they were in the unique position of knowing whether or not they were lying. Thus, the explanation of the resurrection is more credible than the explanation of a conspiracy. There are, of course, other attempts to explain away the historical argument for the resurrection, but those are arguments for a different time. I’ll forego the preliminaries here and just say it: this is the best introductory apologetics book in regards to the historicity of the Gospels I have ever read. If you are looking for a book in that area, get it now. If you are not looking for a book in that area, get it anyway because it is that good. Now, on to the details. Cold-Case Christianity by J. Warner Wallace maps out an investigative journey through Christian history. How did we get the Gospels? Can we trust them? Who was Jesus? Do we know anything about Him? Yet the way that Wallace approaches this question will draw even those who do not care about these topics into the mystery. As a cold-case homicide detective, Wallace approaches these questions with a detective’s eye, utilizing his extensive knowledge of the gathering and evaluation of evidence to investigate Christianity forensically. He begins the work with a section on method. He argues that we must learn to acknowledge our presuppositions and be aware of them when we begin an investigation. Like the detective who walks into a crime scene with a preconceived notion of how the murder played out, we can easily fall into the trap of using our expectations about a truth claim to color our investigation of the evidence for that claim. Learning to infer is another vastly important piece of the investigation. People must learn to distinguish between the “possible” and the “reasonable” (34ff). This introduction to “abductive reasoning” is presented in such a way as to make it understandable for those unfamiliar with even the term, while also serving as great training on how to teach others to reason for those involved in apologetics. Chapter 3, “Think Circumstantially” is perhaps the central chapter for the whole book. Wallace notes that what is necessary in order to provide evidence “beyond a reasonable doubt” is not necessarily “direct evidence.” That is, direct evidence–the type of evidence which can prove something all by itself (i.e. seeing it rain outside as proof for it actually raining)–is often thought of to be the standard for truth. Yet if this were the standard for truth, then we would hardly be able to believe anything. The key is to notice that a number of indirect evidences can add up to make the case. For example, if a suspected murderer is known to have had the victim’s key, spot cleaned pants (suspected blood stains), matches the height and weight a witness saw leaving the scene of the crime, has boots that matched the description, was nervous during the interview and changed his story, has a baseball bat (a bat was the murder weapon) which has also been bleached and is dented, and the like, these can add up to a very compelling case (57ff). Any one of these evidences would not lead one to say they could reasonably conclude the man was the murderer, but added together they provide a case which pushes the case beyond a reasonable doubt–the man was the murderer. In a similar way, the evidences for the existence of God can add up to a compelling case for the God of classical theism. Wallace then turns to examining a number of these arguments, including the moral, cosmological, fine-tuning, and design arguments. These are each touched on briefly, as a kind of preliminary to consider when turning to the case for the Gospels. Furthermore, the notion of “circumstantial” or cumulative case arguments hints towards the capacity to examine the Bible and the Gospels to see if they are true. Wallace then turns to examining the Gospels–Mathew, Mark, Luke, and John–in light of what he has learned as a detective. He utilizes forensic statement analysis as well as a number of other means by which to investigate witnesses and eyewitness reports to determine whether the Gospels can be trusted. He first turns to Mark and makes an argument that Mark had firsthand contact with Peter, one of the Disciples and an Apostle. He shows how we can search for and find “artifacts”–textual additions that were late into the accounts of the Gospels. None of these are surprises, because we know about them by investigating the evidence we have from the manuscript tradition. By piecing together the puzzle of the evidences for the Gospels, we form a complete picture of Christ (106ff). It is easy to get caught up in “conspiracy theory” types of explanations for the events in the Bible. People argue that all kinds of alternative explanations are possible. Yet Wallace notes again that there is a difference between possible and reasonable. Simply throwing out possible scenarios does nothing to undermine the truth claims of the Gospels if the Gospels’ own account is more reasonable. Furthermore, drawing on his own knowledge from investigating conspiracy theories, Wallace notes that the Gospels and their authors do not display signs of a conspiracy. A very important part of Cold-Case Christianity is the notion that we can trace back the “chain of custody” for the Gospels. 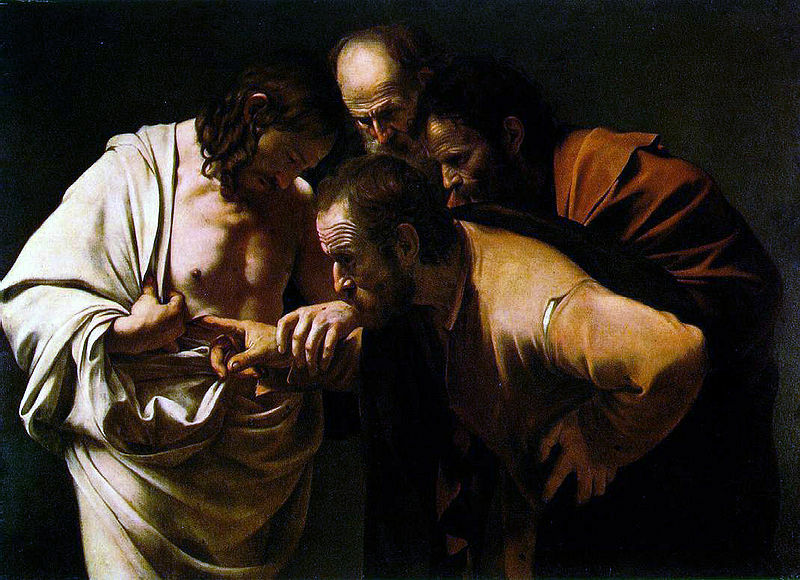 By arguing that we are able to see how the New Testament was passed authoritatively from one eyewitness to disciple to disciple and so on, Wallace argues that conspiracy theories which argue the Gospel stories were made up have a much less reasonable explanation than that they are firsthand accounts of what happened. Much of the information in these chapters is compelling and draws on knowledge of the Apostles’ and their disciples. It therefore provides a great introduction to church history. Furthermore, Wallace notes that a number of things that we learn from the Gospels are corroborated not just by other Christians, but also by hostile witnesses (182ff). He also argues that we can know that the people who wrote the Gospels were contemporaries of the events they purported to report by noting the difficulties with placing the authors at a later date (159ff). This case is extremely compelling and this reviewer hasn’t seen a better presentation of this type of argument anywhere. There are many other evidences that Wallace provides for the historicity of the Gospels. These include undesigned coincidences which interlink the Gospel accounts through incidental cross-confirmations in their accounts. I have written on this argument from undesigned coincidences before. Archaeology also provides confirmation of a number of the details noted in the Gospel accounts. The use of names in the Gospels place them within their first century Semitic context. Again, the individual evidences for these claims may each be challenged individually, but such a case is built upon missing the forest for the trees. On its own, any individual piece of evidence may not prove that the Gospels were written by eyewitnesses, but the force of the evidence must be viewed as a complete whole–pieces of a puzzle which fit together in such a way that the best explanation for them is a total-picture view of the Gospels as history (129ff). All of these examples are highlighted by real-world stories from Wallace’s work as a detective. These stories highlight the importance of the various features of an investigator’s toolkit that Wallace outlined above. They play out from various viewpoints as well: some show the perspective of a juror, while others are from the detectives stance. Every one of them is used masterfully by Wallace to illustrate how certain principles play out in practice. Not only that, but they are all riveting. Readers–even those who are hostile to Christianity–will be drawn in by these examples. It makes reading the book similar to reading a suspense novel, such that readers will not want to put it down. For example, when looking at distinguishing between possible/reasonable, he uses a lengthy illustration of finding a dead body and eliminating various explanations for the cause of death through observations like “having a knife in the back” as making it much less probable that accidental death is a reasonable explanation, despite being possible. Throughout the book there are also sidebars with extremely pertinent information. These include quotations from legal handbooks which describe how evidence is to be viewed, explanations of key points within the text, and definitions of terms with which people may be unfamiliar. Again, these add to the usefulness of the book for both a beginner and for the expert in apologetics because it can serve either as a way to introduce the material or as helpful guides for using the book to teach others. Overall, Cold-Case Christianity is the best introduction to the historicity of the Gospels I have ever read. I simply cannot recommend it highly enough. Wallace covers the evidence in a winsome manner and utilizes a unique approach that will cause even disinterested readers to continue reading, just to see what he says next. I pre-ordered two copies to give to friends immediately. I am not exaggerating when I say that this book is a must read for everyone. View J. Warner Wallace’s site, Please Convince Me, for a number of free and excellent resources. I highly recommend the blog and podcast. I would strongly endorse reading this book alongside On Guard by William Lane Craig–which thoroughly investigates the arguments for the existence of God. With these two works, there is a perfect set of a case for Christianity. J. Warner Wallace, Cold-Case Christianity (Colorado Springs, CO: David C. Cook, 2013). Disclosure: I received a copy of the book for review from the publisher. I was not asked to endorse it, nor was I in any way influenced in my opinion by the publisher. My thanks to the publisher for the book. Now I want you to step back for a moment and think of your immediate response to that question. Was it “Yes!” Well, why do you think so? Was it “No!” Again, why? I mean this very seriously. Read the question again, and now reflect on your answer. Does it come from a well-informed position or does it flow from your presuppositions or worldview? Why do you think Jesus rose or did not rise from the dead? Does your belief come from a careful study of the texts and the critical debate on the topic? Have you read sources from both sides of the debate, have you listened to top scholars in dialog about the topic? This one is for the atheists and skeptics out there: look at the picture I have posted on the top left. What feelings does it provoke within you? Disgust? Skepticism? Laughter? Joy? Christians, I ask you the same question. What is the point of me taking this space to write all of this? I want everyone to be aware of the fact that when they consider the question I asked to start this post–“Did Jesus rise from the dead?”–they are influenced profoundly by their worldview and their starting point. No, I want you to consider the evidence–both atheists and Christians. Christians, because it is your solemn duty to discern the truth of the resurrection (1 Corinthians 15:14-19); atheists, because you owe it to yourself to follow the evidence where it leads. I’m not going to make a sustained argument here. Rather, I encourage you to investigate the topic yourself. A good starting point is this podcast, which argues from the “minimal facts” approach. A summary of the usage of this method can be found here. Is Christ risen? That’s a question we all must answer, but let us not answer it based on dogma, on presuppositions, or on a dismissal of the evidence. Let us engage with the facts and formulate a hypothesis. Let us investigate the historicity of the event and follow the evidence where it leads.